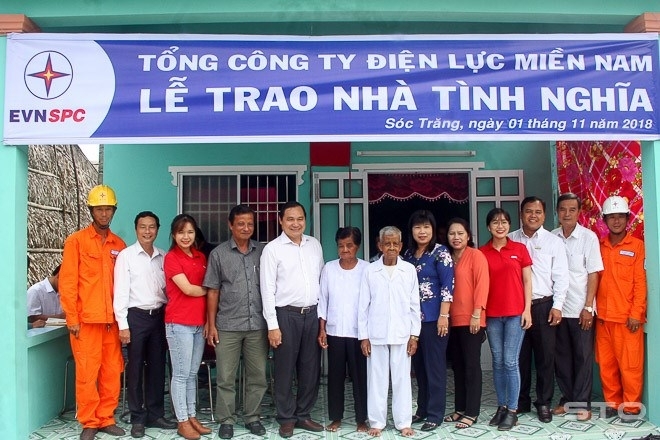 On November 2, the Southern Power Corporation (SPC), the Soc Trang chapter of the Vietnam Fatherland Front (VFF), and the provincial power corporation handed over 12 charity houses to Khmer people in Tham Don commune, My Xuyen district. The new houses were among 20 sponsored by the SPC. Earlier, on October 29, the provincial VFF chapter and lottery company transferred 125 houses worth 5 billion VND (215,087 USD) to poor households, including those of the Khmer community. Meanwhile, the Thien Tam fund of VinGroup and Soc Trang Red Cross Society presented breeding cows to 25 needy households in Hung Loi town, Thanh Tri district. The cows, worth 15 – 17 million VND (645.5 – 731.5 USD) each, are part of the “Cow bank” project. Under the project, beneficiaries are responsible to take care of their cows, returning the first babies of the cows to the bank and keeping the rest. 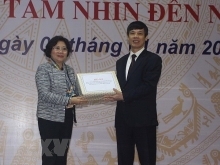 Thien Tam Fund also handed over 100 other cows to Khmer people in Long Phu, My Tu districts and Nga Nam town. Joining the series of charity activities, the health center in My Xuyen district in collaboration with the Ho Chi Minh City-based Hospital STO Orient carried out a program offering free eye checkups and surgeries for more than 300 patients.